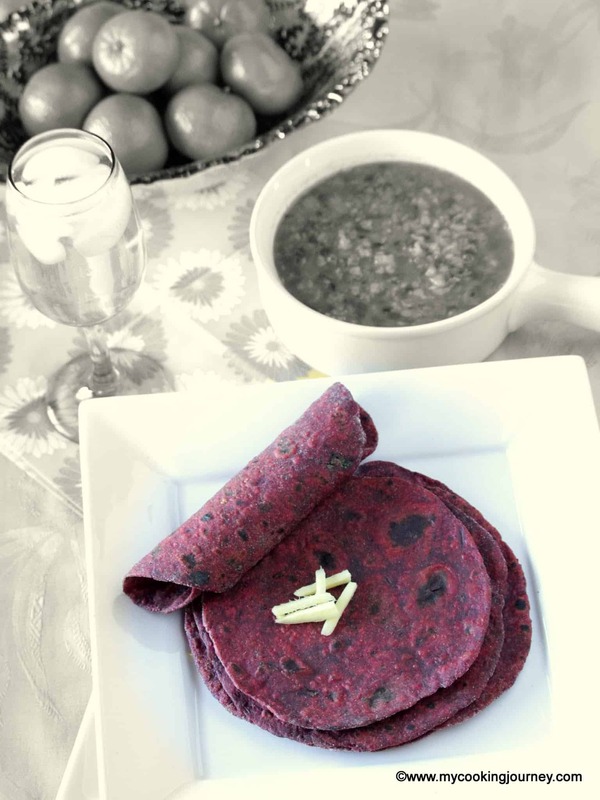 Usually when making methi paratha, I add the chopped methi leaves directly into the wheat flour and make the dough. 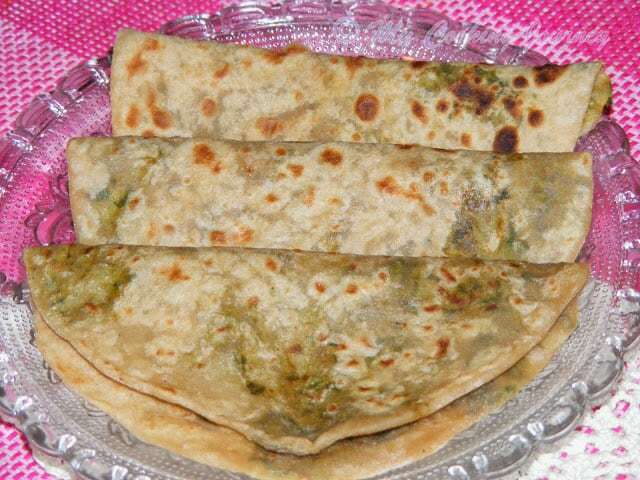 I also make Aloo Methi Paratha, which has cooked methi leaves in the dough. 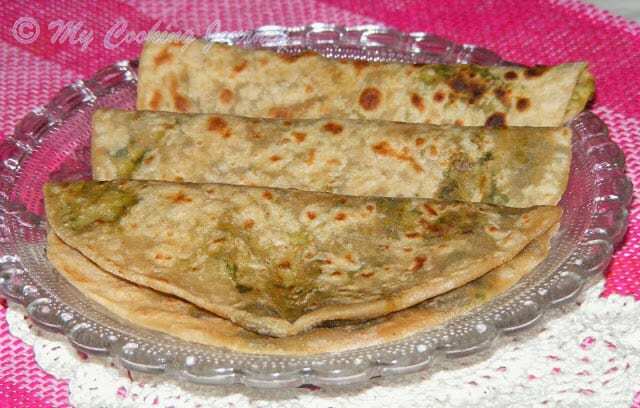 I came across this recipe here and it was very interesting to see a methi masala stuffing made to be stuffed inside the dough. 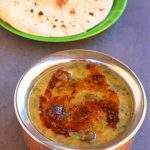 This week for the blogging marathon, I am making travel food and this is the recipe I chose as a main dish recipe. 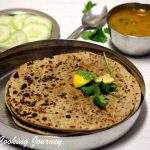 Stuffed Parathas are very versatile when traveling and all we need to eat is some pickle and curd on the side. 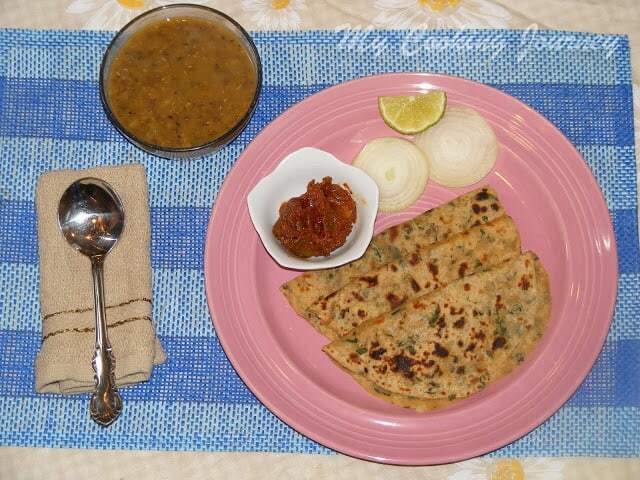 These parathas stay fresh for 3-4 days and hence will come very handy when traveling with kids. 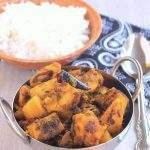 Also if growing your own methi, you could make a big batch of this masala when harvesting the leaves and store it in the refrigerator. This way you could use it to stuff whenever you make parathas. I traveled a lot as a kid with my parents and we travel quite a bit even now. I grew up in the Northern part of India whereas all my family was in South. So every summer we travel back to Chennai by train which was a two day journey. 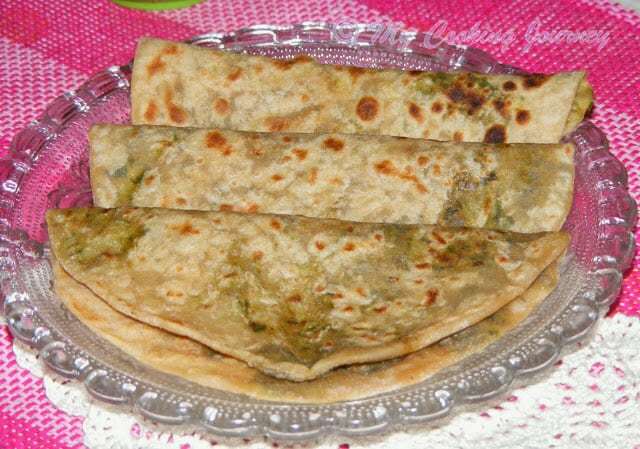 We always pack food when traveling and paratha is a definite food that my mother made to carry with us. Combine all the ingredients except the water and mix well. Now add hot water slowly and make into soft and pliable dough. Cover the dough with a damp kitchen cloth and let it rest for at least half an hour. Heat oil in a non stick pan and add the saunf, green chilies and ginger. Fry about 30 seconds and then add the chopped methi leaves. Let the leaves cook covered for about 10-15 minutes until all the water from the leaves evaporate and the leaves are cooked. Do not add any water, the leaves will let out quite a bit of water and this will help to cook the leaves. Also cook it in low to medium heat. 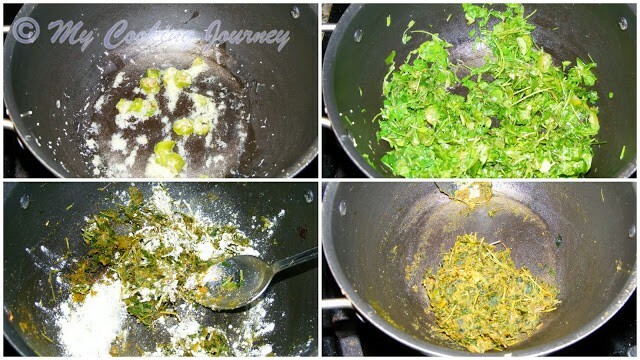 Once the leaves are cooked, add the dry masala powders, salt and the besan and mix well. 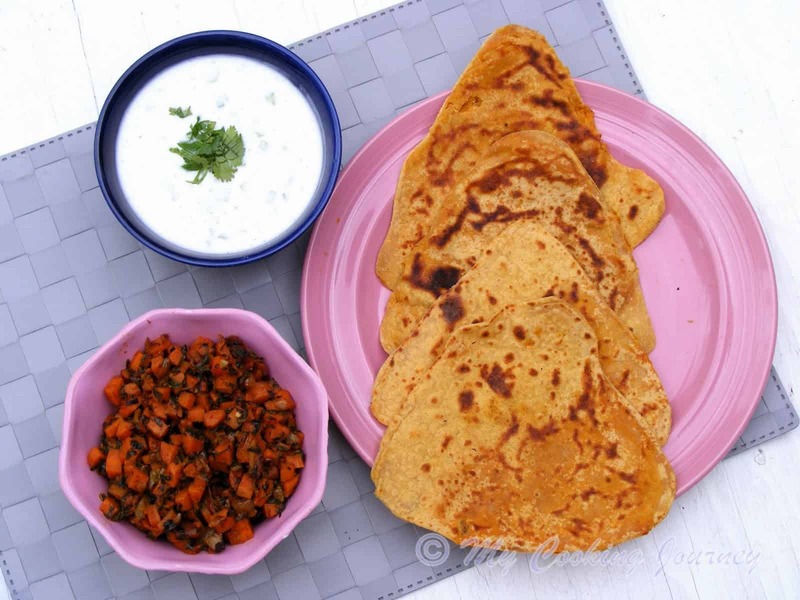 Make sure that everything mixes well and there are no lumps of besan or masala powders. Turn off the flame and let the masala cool down. When cooled, the masala will crumble into a powdery mix. Crumble it and keep it aside. 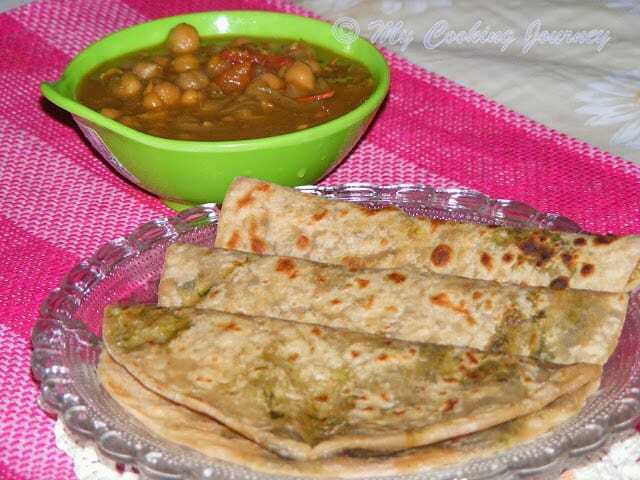 Make equal size balls out of the dough (about 10-12) and then roll each ball into a small circle (about the size of the poori). 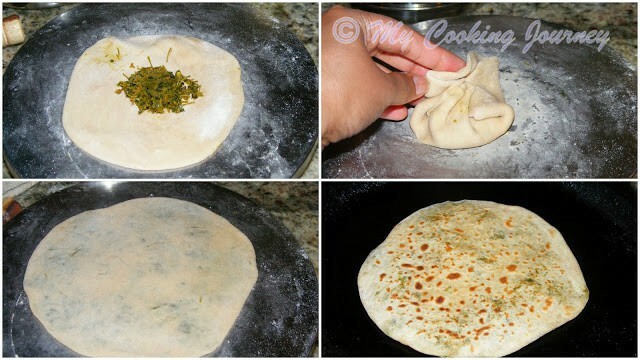 Now add about a teaspoon full of masala in the center and bring all the sides of the dough into the center and make a pouch. Seal the edges carefully. 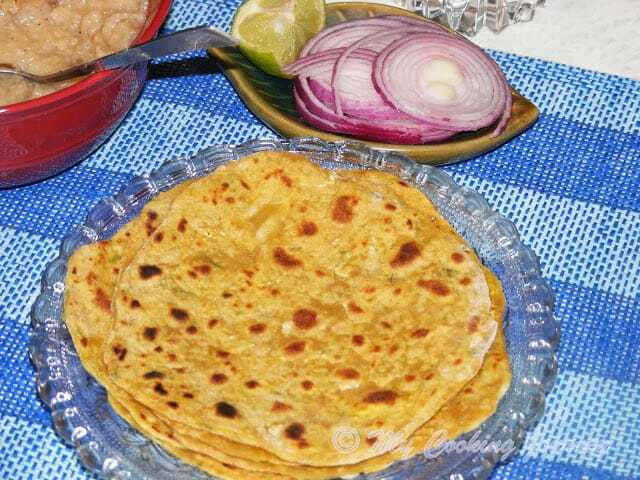 Now roll this out into a paratha carefully without breaking the dough too much. 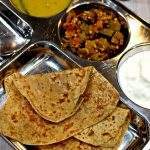 Cook it on a hot griddle on both sides using about ½ tsp of oil per paratha. 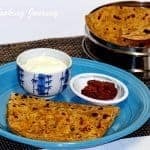 Serve with pickle and yogurt! I made this with some channa masala to eat for dinner.